The traditional or school-at-home method is a popular homeschool choice due to its familiarity and ease of use. 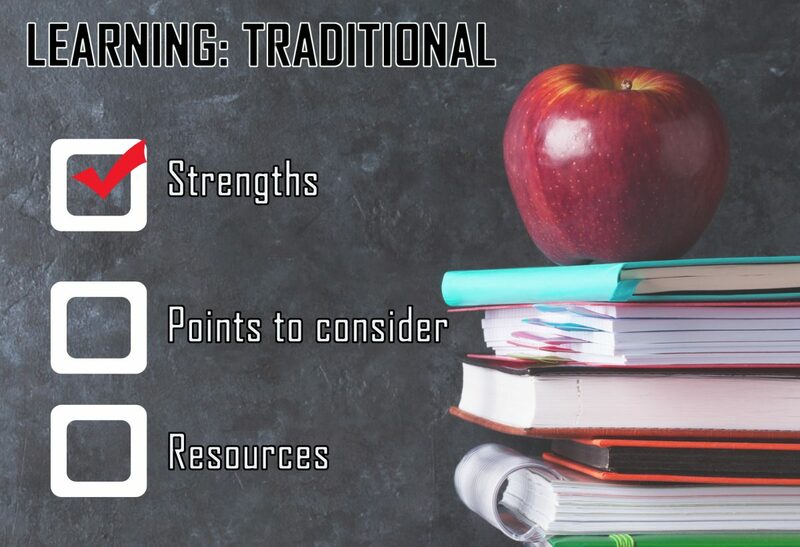 Prepackaged curricula often use textbooks and workbooks with lessons, study schedules, assignments and tests all laid out for the parent teacher to follow. Some programs offer more support with online video classes and teachers who mark assignments and assign grades. Some families follow a traditional school-at-home style, but gather their own homeschool materials. A typical school-at-home day is very much like a traditional school day with a full schedule which often includes: worksheets; tests; textbook assignments; classroom type lectures; a language program; and, occasional science experiments.